Simple connection to balances using the cable provided. 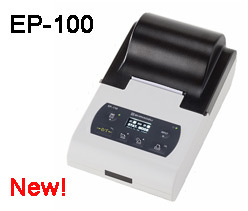 Uses normal paper, suitable for long-term storage compatible with GLP/GMP/ISO (dot impact method). Operation can be powered by AC adapter or dry batteries. Hassle-free long-use printer paper rolls (8000 lines of printing with one roll). 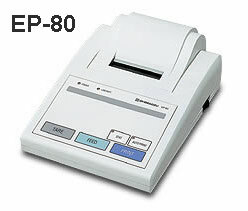 High-speed printing at approx. 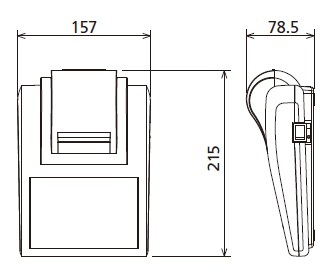 3 lines/sec (printer mechanism performance). Installed with statistical calculation function as standard. Can be used simultaneously with Shimadzu's unique WindowsDirect function (output to computer). 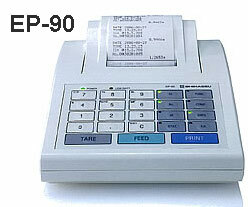 Equipped with keyboard, capable of defining ID number (fixed input number), and sample number (number input and then increased automatically with each printing). Printing of date and time (when connected to an electronic balance with a built-in clock) can be controlled from the printer. Multiplication and comparator functionality built-in.